Beautifully maintained 4 bedroom home in the acclaimed Utica School District. 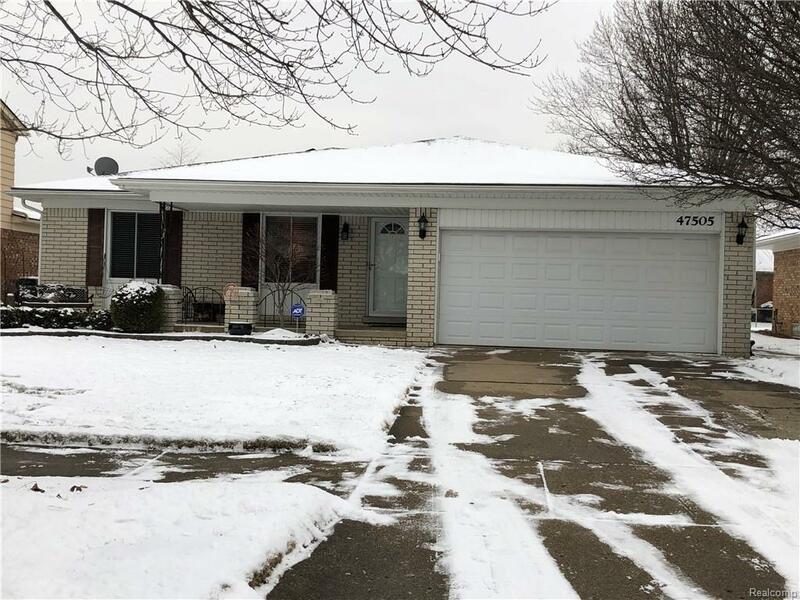 This home features an open backyard with spacious deck and cedar gazebo, a handsomely landscaped yard, and an 8â X 10â shed for storage of lawn / landscaping equipment. The kitchen was recently updated and includes newer appliances. This home has gorgeous hardwood flooring throughout the living room, den and hallway with tile flooring in the kitchen and laundry room. The family room boasts a vaulted ceiling with skylights and a natural fireplace perfect for Michigan Winters. The 1st floor laundry / mud room contains a separate entrance from the garage perfect for wet days. The basement in this home is impeccably finished with an additional bedroom and large closet. Other basement features include a workout room with french doors, 2 decent sized rooms for storage, and a half bath. This beautiful home is close to restaurants, freeways and shopping and will not last long. Make your appointment today.